I didn't see a Paladin appreciation thread so I thought I would start one (siap). 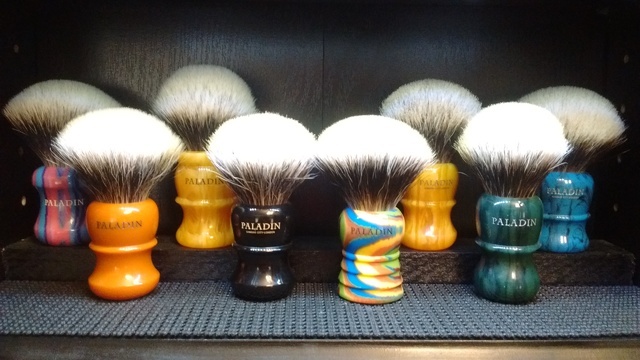 When it comes to shaving I'm a brush guy. Although I have quite a few razors, only a few get used on a regular basis. 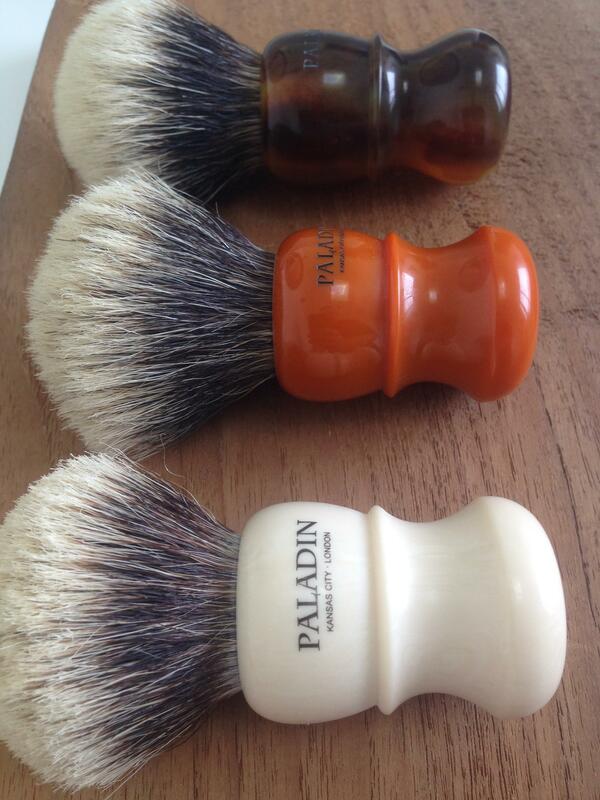 Brushes on the other hand make me wish I could shave more than once a day. I like using, trying, collecting, trading, selling and of course buying them. Here's a pic of my collection. 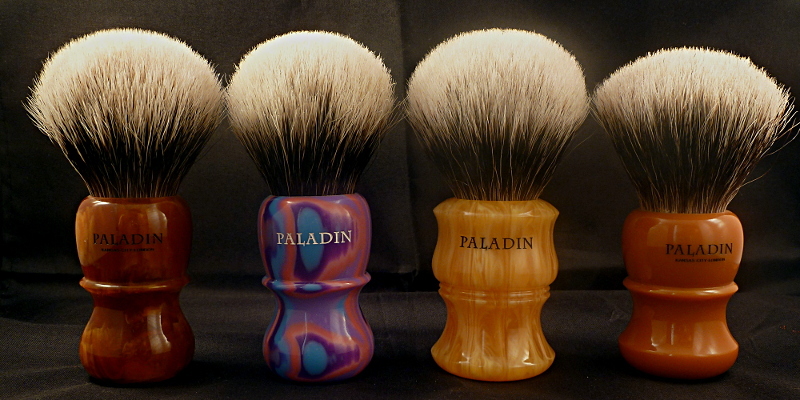 Not all of them were bought on Paladin's fast and furious f5 website, so please don't take it that way. My brush sabbatical is starting in a couple weeks so there will be one less buyer to contend with for the rest of the year . 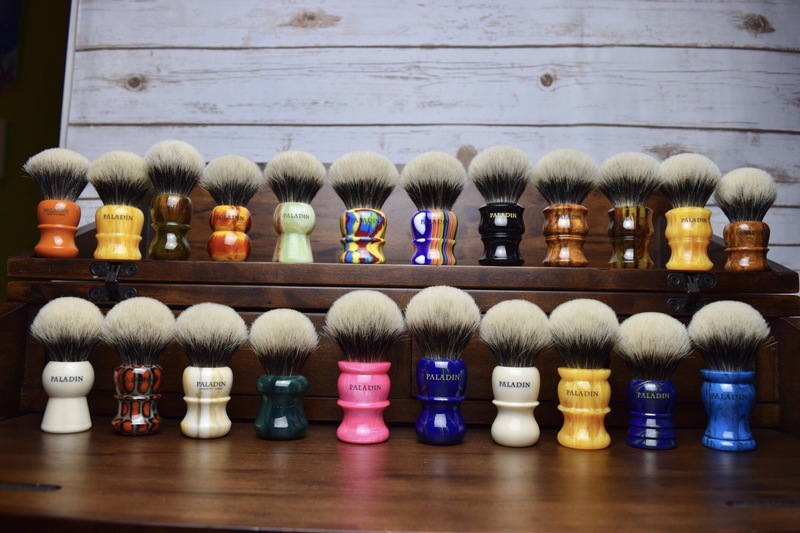 I hope others here will share some pics whether it be one brush or a dozen I would love to see them! Fantastic idea! I'll post my lineup in a bit. 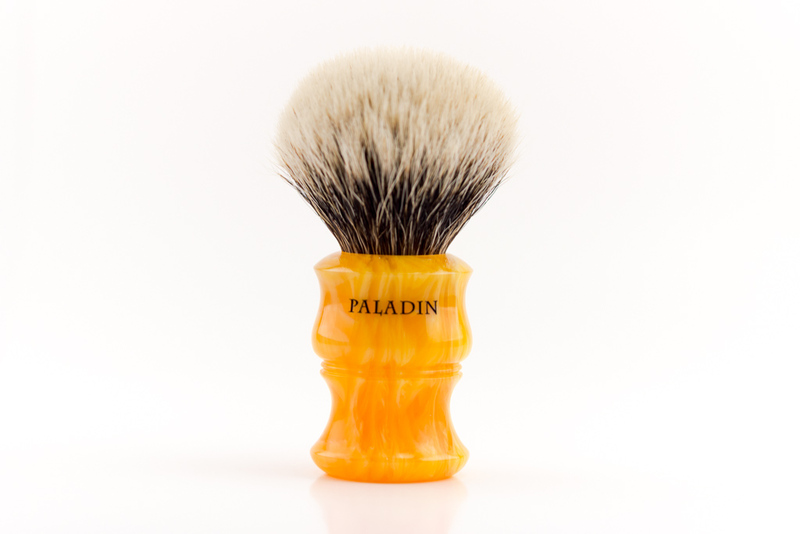 I am down to one Paladin at the moment. I never even considered letting this one go. 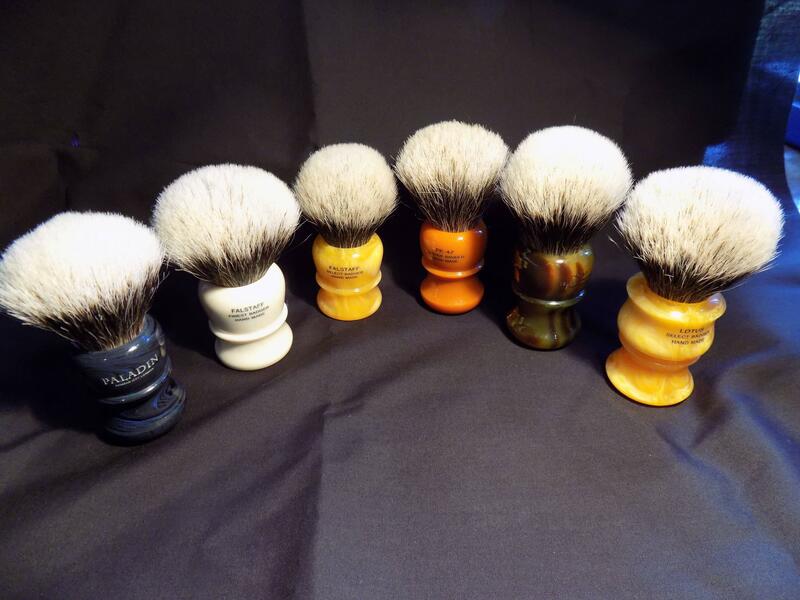 The Sherlock is such a great brush and the 26mm knot in mine is a favorite. A real pleasure to use. Hopefully I'll get a chance to have a Tut one day too. I also have a "Collection of one ...."
Mike, whatever Ken says, don't say "no." PK47 26MM Cobalt & 28MM Disco. 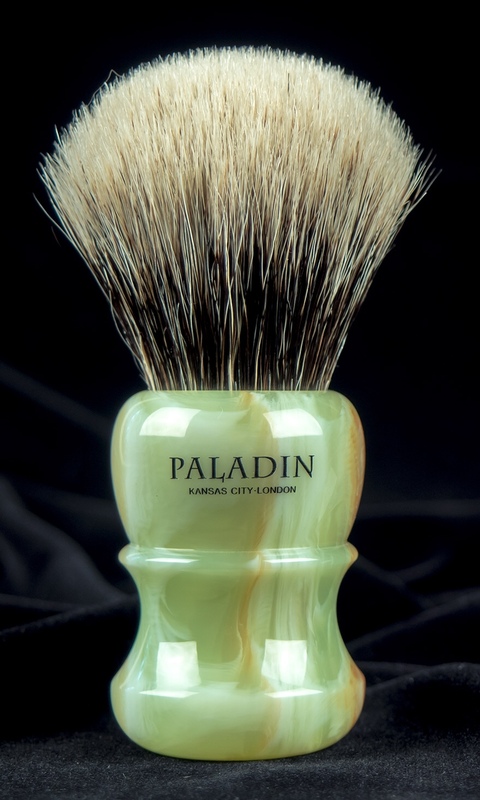 Both scream versatility with regard to backbone, lather flow-through, bowl-lathering/face lathering, and ergonomics. (04-18-2017, 03:15 PM)ddk13 Wrote: I didn't see a Paladin appreciation thread so I thought I would start one (siap). 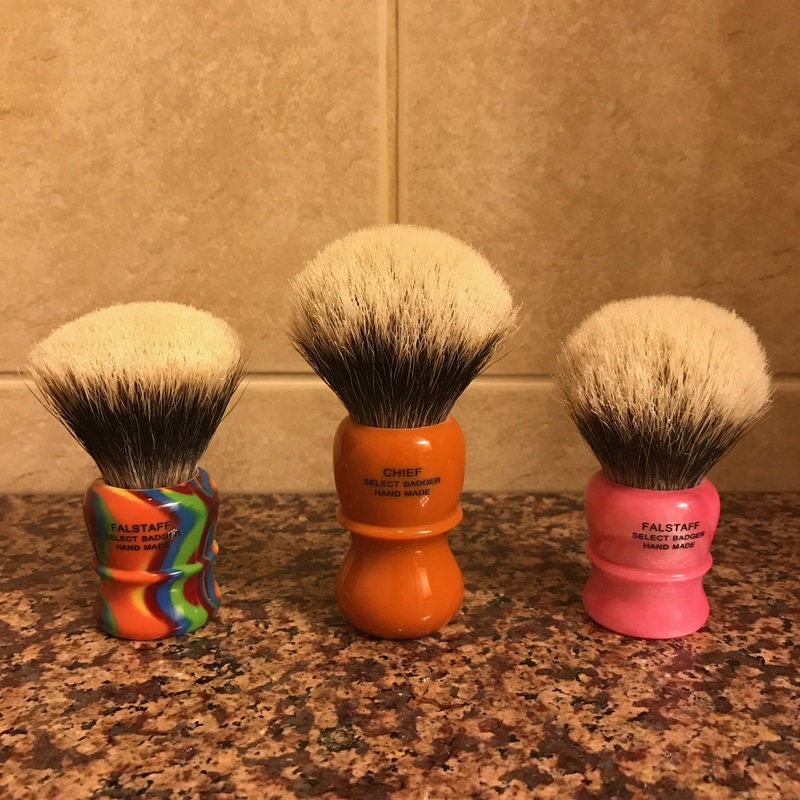 When it comes to shaving I'm a brush guy. 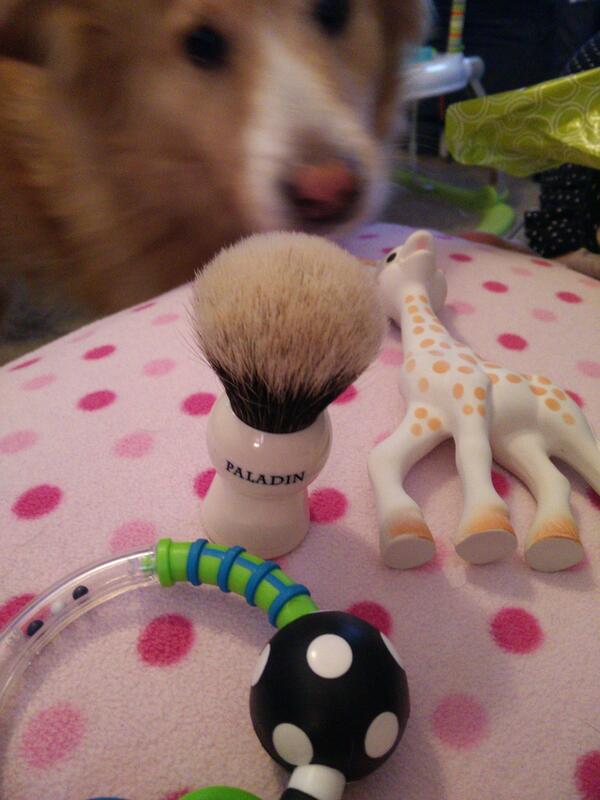 Although I have quite a few razors, only a few get used on a regular basis. 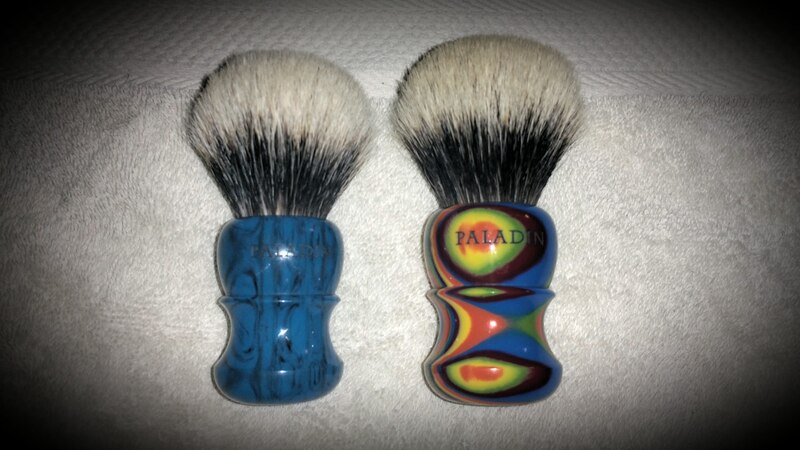 Brushes on the other hand make me wish I could shave more than once a day. I like using, trying, collecting, trading, selling and of course buying them. Here's a pic of my collection. Not all of them were bought on Paladin's fast and furious f5 website, so please don't take it that way. My brush sabbatical is starting in a couple weeks so there will be one less buyer to contend with for the rest of the year . 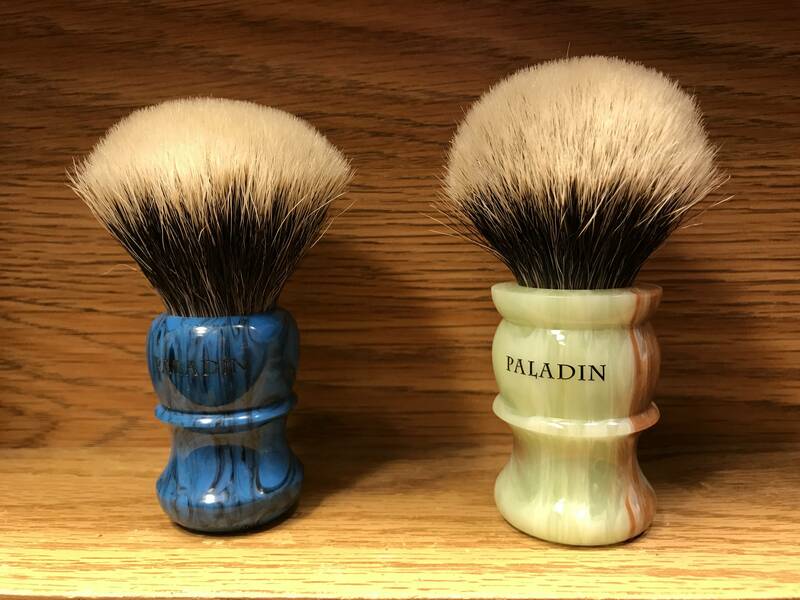 I hope others here will share some pics whether it be one brush or a dozen I would love to see them! Nice idea. Here is my humble collection. I still prefer the Chief design. Ken doesn't release many in ivory grain, especially with an L-knot, but that's what would end the chase for me. A nice match to my Somerset PK. Did someone mention humble. Acquisition at the moment is more a hobby than a mission. (04-20-2017, 04:34 AM)Paladin Shaving Wrote: No purple haze. Ha, good eye.Work in progress, Ken.